It's time to fall in love with music all over again. Audiophile's best quality parts give you the absolute best earbuds at an unbelievable value. Our dynamic dual drivers, made from the strongest materials, give you a more powerful and detailed listening experience. 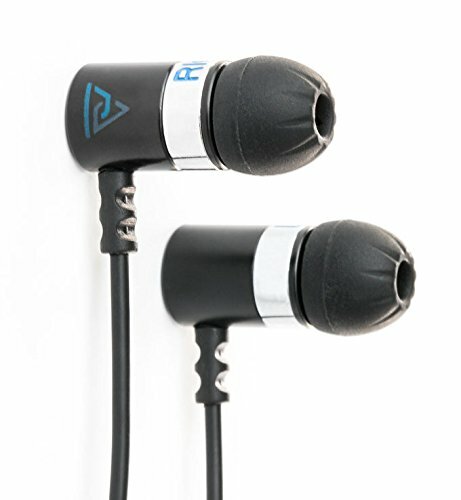 These earbuds output up to 118 decibels, across an expansive frequency range of 5 Hz to 31,000 Hz. That means full, beautiful sound from every instrument for you to listen to. From the deepest bass, through the entire midrange, and up to the brightest treble in stunning sound quality. These earbuds are perfectly crafted by audio engineers to deliver the ultimate listening experience, with a 16 Ohm impedance that transforms your digital music device. You will feel like you're there at the show or in the studio from your: iPhone, all Android phones, including Samsung, Galaxy, Nexus, HTC, LG, iPad, laptop, Mac, JetBlue armrest, stuff that doesn't even exist yet, etc. Whatever you listen to, you will love the sound on Audiophile earbuds, or you can send them back for a full refund. Your new earbud set includes three sets of butter-soft silicone tips to find the perfect, most comfortable fit for your ears, a 24 karat gold-plated 3.5mm input jack, and a lossless copper cable with tangle-resistant rubber coating. These are extremely durable, high-quality materials from top to bottom. Try these bad boys out. If you don't love them like the first time you fell in love with music, itself, we'll take them back, no questions asked. If you have any questions about this product by Audiophile, contact us by completing and submitting the form below. If you are looking for a specif part number, please include it with your message.